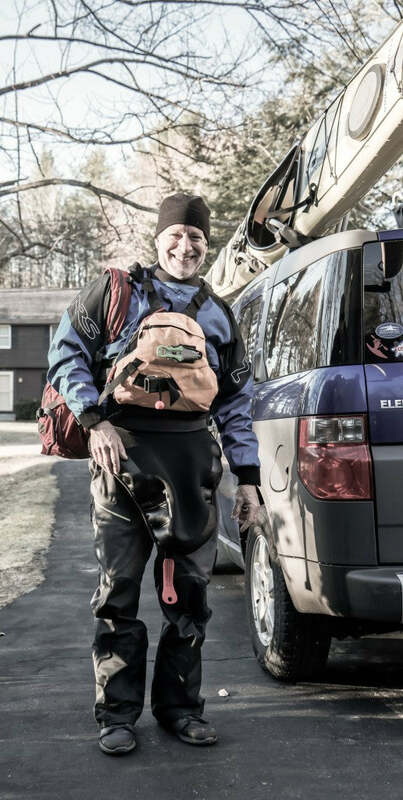 Hyperlite Mountain Gear recently partnered with former US Canoe & Kayak team member and Maine resident John Connelly to support his 1500-mile solo river/sea odyssey. Connelly has numerous first descents under his belt, along with decades of experience on whitewater. His 75-day trip will take him through two countries and four states and over 22 streams and 58 lakes. The journey will be the first to link four major waterways: The Northern Forest Canoe Trail, Saint John River, Bay of Fundy and Maine Island Trail. We are providing Connelly with a 5400 Porter Pack from our soon-to-be-released Expedition Series, along with an Echo II Shelter System and Stuff Sacks. White water expert John Connelly always wanted to run the Northern Forest Canoe Trail, and to paddle the Maine Island Trail, and to do a really big adventure the year he turned 60. So, why not just connect those two big water trails by continuing down the Saint John River and the Bay of Fundy? Connelly is no stranger to many of these water trails. 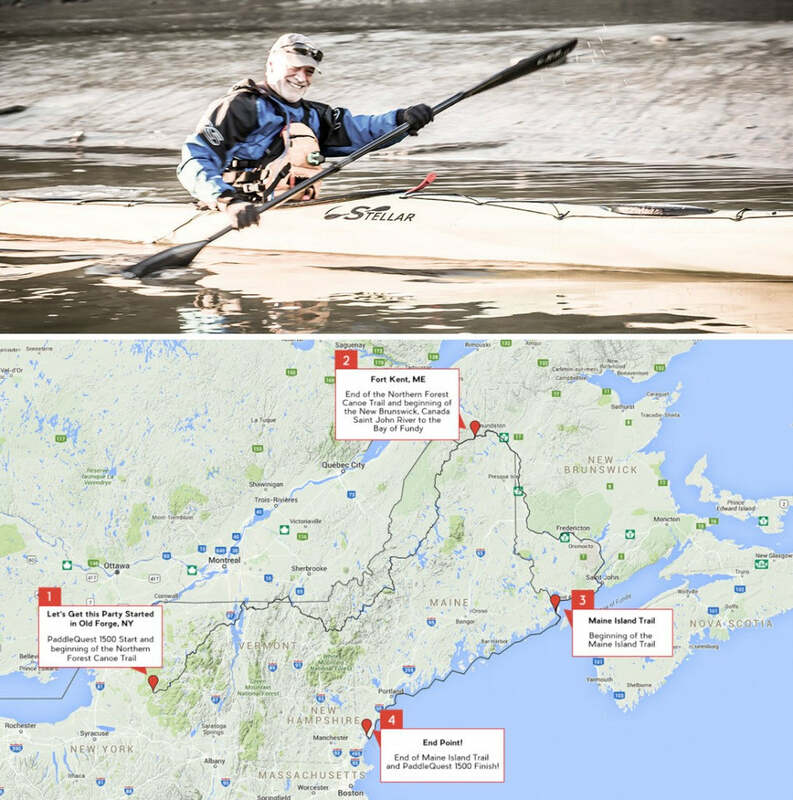 He’s paddled several sections of the Maine Coast, the entire Allegash Waterway and numerous sections of the 22 streams and 58 lakes he will cross. However, he will cover unfamiliar territory, specifically in New York, Vermont, Quebec and New Brunswick. Another big challenge is Reversing Falls on the Saint John River, a series of rapids on that runs through a narrow gorge before emptying into the Bay of Fundy. “I’ll be paddling my expedition kayak by that point, but it can be absolutely huge class IV white water with big boils and whirlpools, and it dumps you into a bay with the world’s highest tides,” he says. The tidal range in Maine is about 12 feet; it’s about 30 feet in the Bay of Fundy. And it changes every six hours. He needs to end up in the bay with a falling tide. The final challenge he says is Maine’s Bold Coast, which he hits just as he reenters the country from Canada. So why is Connelly embarking on this epic? To support John Connelly’s expedition and keep up to date on his adventures, please visit his website, paddlequest1500.com. The post Paddlequest 1500: John Connelly’s 75-Day Canoe & Kayak Epic Adventure appeared first on Hyperlite Mountain Gear Blog.